Like many people, Harshita rides the bus every day. Unlike others, however, when on one ride home she noticed a visually challenged person having difficulty crossing the street, she was inspired to find a way technology could help. 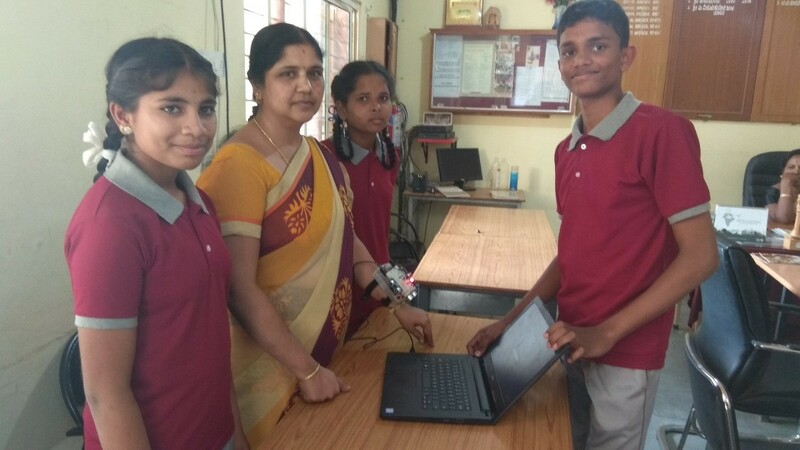 At school the next day, she discussed her thoughts with her mentor in the Atal Tinkering Lab of her school and learned about extensive research going on in the field of IoT-based (Internet of Things) helping tools for the visually challenged. 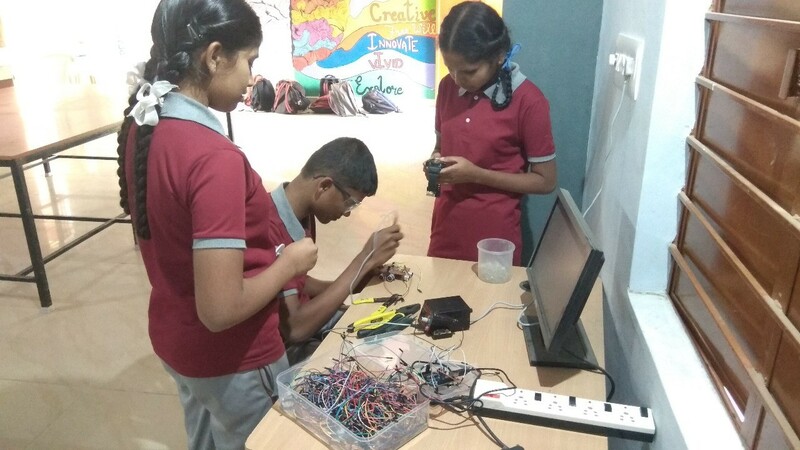 Atal Tinkering Laboratories (ATL) in India, is set up to foster this type of curiosity, innovation and STEM learning through hands-on experimentation. Last year Dell partnered with NITI Aayog–a Government of India think tank–and Dell Youth learning partner Learning Links Foundation to support ATL in 13 government schools. ATL helped Harshita, along with her classmates Sujatha and Purushottam, research various problems faced by the visually challenged and ways the students could contribute to help them. They ultimately came up with a Third Eye Wearable prototype, which helped her secure a place in Top 100 of National Finals of Tinkering Marathon. I’m only an occasional yoga practitioner, but when I heard about it, I knew the name chosen for this wearable had special significance. The third-eye chakra in Hindu tradition is a part of the brain provides intuition and foresight that can be strengthened like a muscle through, among other things, meditation and yoga. Harshita and her classmates built something that would help the visually impaired “see” using hardware like Arduino Uno Board, ultrasonic sensors, vibration motors and more. When a user wears their prototype, if an obstacle comes into their way, then a signal is sent which makes a sound to warn them. But they didn’t stop at that. They continued to strengthen their Third Eye Wearable. After getting selected for Top 100 Tinkering Marathon projects, they added Ultrasonic sensors as well as Vibration motors and also changed the back end programming to make it better. Most of ATL’s participating students are first-time technology learners from low-income communities, and several have made the finals of various national innovation competitions. From Third Eye Wearable for visually impaired citizens (Bangalore) to Smart Water Conserver (Chennai) to Smart Jacket for drivers which helps avoid accidents occurring due to sudden health issues, and Plant Cop which helps keep valuable trees from being smuggled (Hyderabad), to Sound Wave Based Fire Extinguisher (Chandigarh), the students have come up with various innovative solutions to solve the most burning problems of their country. These students are motivated to come to their lab every day, ideate on the problems they see around them and come up with various technology innovations to solve them. I’m proud to know that Dell continues to build our Legacy of Good by supporting and fostering such innovation in the next generation.